Sometimes it’s good to be specific. Whatever product you’re talking about, whether gaming headphones, processors, or graphics cards, it helps to make things clear. All the alphanumeric code combos thrown out for components, all the Greek gods used to try and make gaming peripherals seem cool, none of them can match the beautiful simplicity of 1More’s Triple Driver Over-ear Headphones. Admittedly this is the naming equivalent of my most-hated phrase of all time: “it is what it is.” Sorry, I just sicked up a little on my keyboard just typing that. Gross. It’s almost as bad as “my bad.” But the name here tells you exactly what you need to know – 1More has thrown a whole bunch of drivers into the ear cups, and that’s what makes these excellent standalone headphones great for gaming. If you’re into that whole communication thing you may miss the classic gaming mic sprouting from a stalk on one of the ear cups, but with the rise in popularity of superior desk-based, free-standing mics, that’s not such a big issue. And when high-quality headphones deliver this sort of aural experience in-game, it can be a wholly preferential setup. Audiophile-class headphones, such as these 1More cans, are a great choice for gaming audio as they will often deliver higher levels of aural clarity than you’ll find with most specific gaming headsets. Sure, they will also generally cost more, but being designed for a more serious-about-sonics audience means they’re less tuned for bass-heavy ‘splodes and more for precise, natural soundscapes. 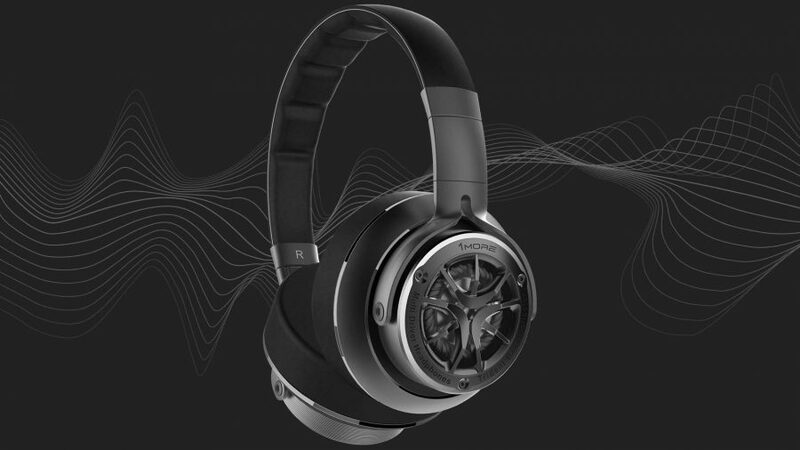 1More might not necessarily be the first name on your frontal lobe when considering gaming audio – its gaming headsets haven’t really floated our boaty things in the past – but it’s got some great technical chops. And they’re very much on display with the Triple Driver Over-Ear cans. The combination of 40mm graphene driver, ceramic tweeter, and bass reflector means these headphones are able to deliver a warm, rich, detailed aural experience. Most traditional gaming headsets will make do with a single driver to do all the necessary grunt work, and that can lead to distortion as the high, mid, and low-range frequencies fight it out, resulting in muddy sound and a lack of clarity. 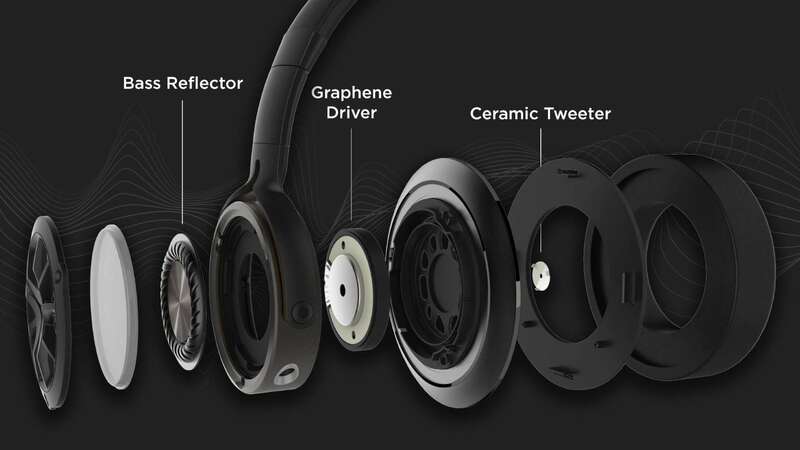 But with the triple driver setup the 1More cans are able to deliver fantastic sound whether you’re gaming or listening to Tidal’s master-quality audio. The separate drivers deliver a great sense of separation between the different tones, keeping them distinct without ever sounding like they’re encroaching on each other. And they can go seriously, ear-damagingly loud too, without distorting anything other than your eardrums. 1More does also boast the headphones have been tuned by a Grammy award-winning sound engineer – Luca Bignardi, if you’re interested – but just how much impact he’s really had, beyond the pr-friendly marketing bullet-point, is always going to be difficult to quantify. 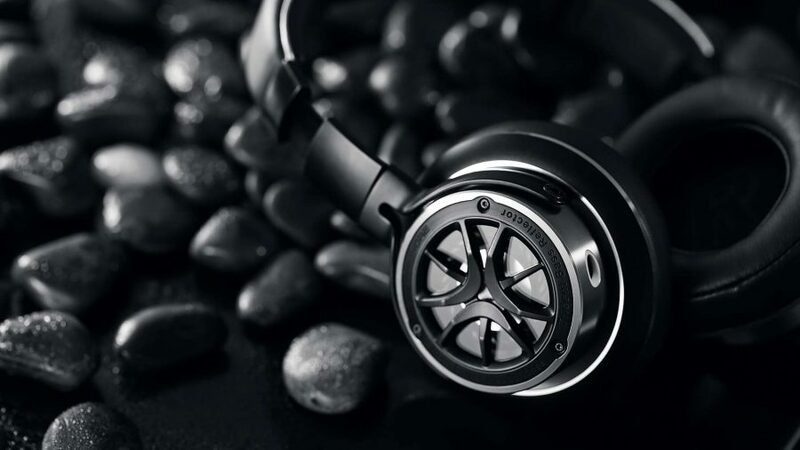 There’s a defined feeling of quality about the headphones too. From the soft leather cushioning to the aluminium sound chamber, the build is excellent. They feel solid, reliable, and the grown-up, understated design makes a welcome change from the often overblown aesthetics of gamer-centric cans. The only real issue for using the 1More headphones with your gaming rig is that they’re designed to be a lot closer to the source than you might physically be on your desktop. Basically the detachable, Kevlar-core, braided cable (fancy, eh?) is just a bit too damned short. It’ll stretch down to the phone in your pocket, but behind your desk and into your gaming PC might just be a little too far for it. The price too, could be a sticking point. At $200 (£178) we are very much talking about a high-end set of headphones, especially considering the HyperX Cloud Alpha is considerably less than $100 right now. They don’t quite have the same breadth of frequency response as these 1More ‘phones, but still deliver a hell of an aural experience for the money. But that’s it. If you don’t need an attached microphone to make the most of your gaming PC – personally I almost always leave the detachable mic of my beloved HyperX cans in the box – then the 1More Triple Driver Over-Ear Headphones are definitely worthy of an audiophile’s attention. The tonal separation of the 1More headphones offers a level of detail and aural clarity that you'll be hard-pressed to find in a traditional gaming headset. The high price and lack of mic may put some off, but there is still a lot to love about these 'phones.